94 Rothschild Boulevard with its very complimentary palm trees. Because it was raining off and on while I was in Tel Aviv, I took an quick walk along the main streets of the White City to soak in the overall atmosphere rather than seek out the most famous Bauhaus architecture examples. 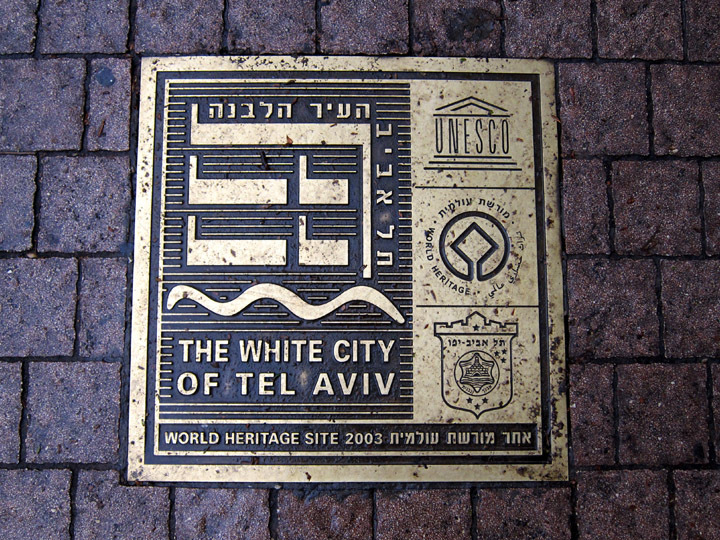 Starting from Allenby Street, I walked North up Rothschild Boulevard and then West along part of Dizengoff Street. 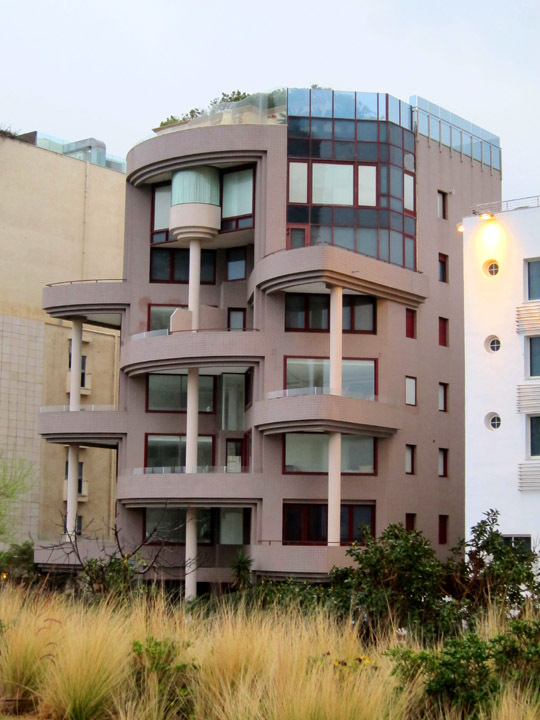 With over 4,000 Bauhaus structures in downtown Tel Aviv, you can’t go far without finding interesting examples! 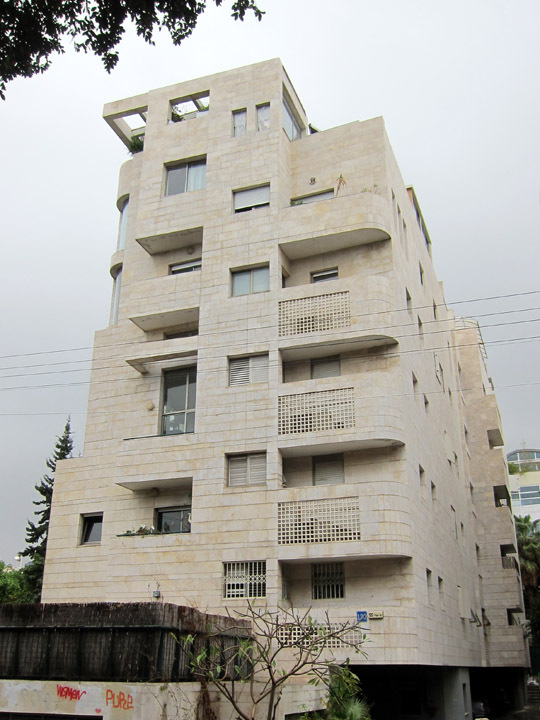 120 Rothschild Boulevard is done in classic Israeli white cream colored stone but has very modern balconies and window gaps on the front facade. In today’s context, these buildings look familiar because we are use to modern architecture. But think of how radical this must have been in the 1930’s. It was a grand experiment in futurism to construct home after home in this wild unknown style. Personified in its architecture, there must have been a vibrancy in this original neighborhood as its residents committed to creating a new city – both literally and figuratively. Admiring the architecture, it’s easy to forget that these buildings are people’s homes! Balconies with chairs, bicycles, flags, planters and laundry (even in the rain) were a great reminder. The other big reality check was the obvious condition issues. Many of the smaller and less elaborate buildings on Rothschild Street had cracks, facade damage, and were generally dirty. The downside of so many historic homes is that they tend to age poorly and require deliberate preservation and careful restoration. 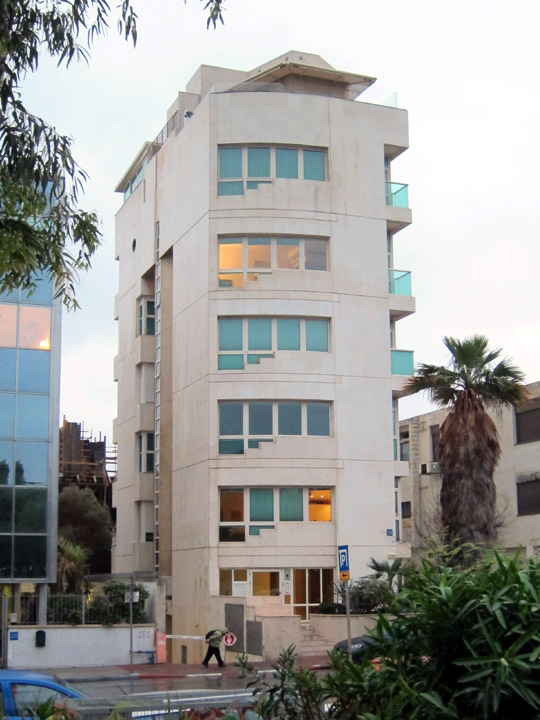 130 Rothschild Boulevard – One of many modern apartment buildings still in use and in need of some restoration. Most of the balconies are discolored and chipped. 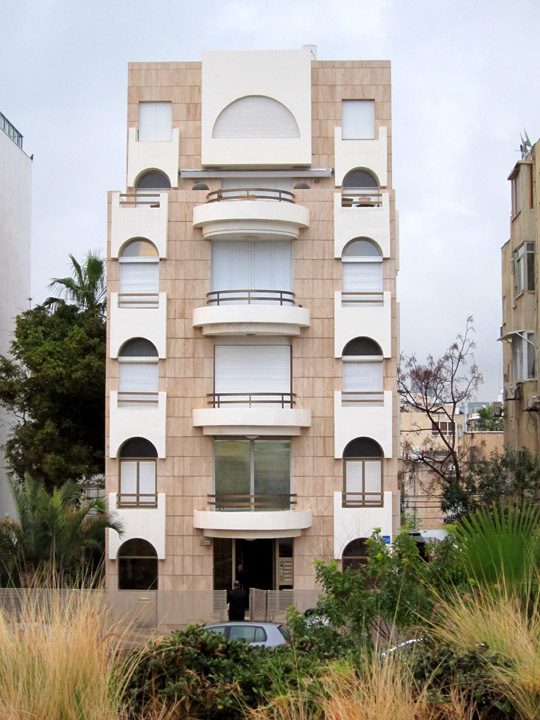 The Bauhaus style continued to influence Tel Aviv’s architects through the 20th century. You can find references to this ascetic in the modern and post-modern buildings that went up as Tel Aviv expanded. Some of my favorite buildings were North of the Marina along Ha-Yarkon Street and a good walk from the Bauhaus core of the city. 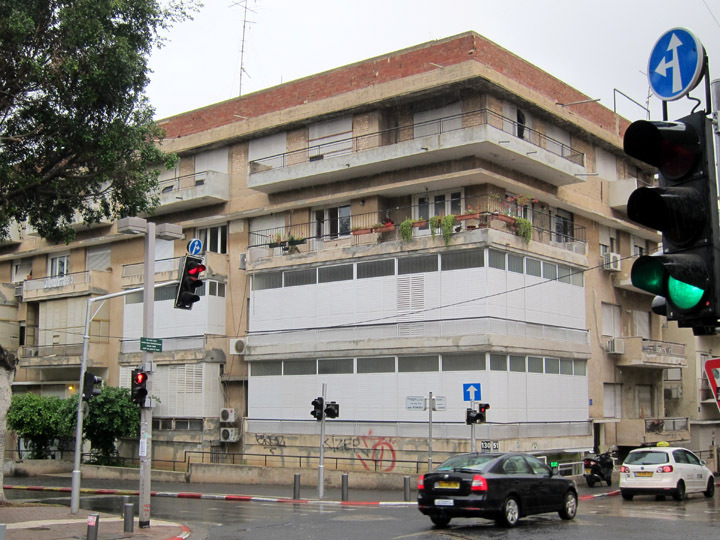 218 Ha-Yarkon St. – Purple stucco and columns makes this maybe my favorite building in Tel Aviv. 226 Ha-Yarkon St. – Smaller window details make the hotel unique. 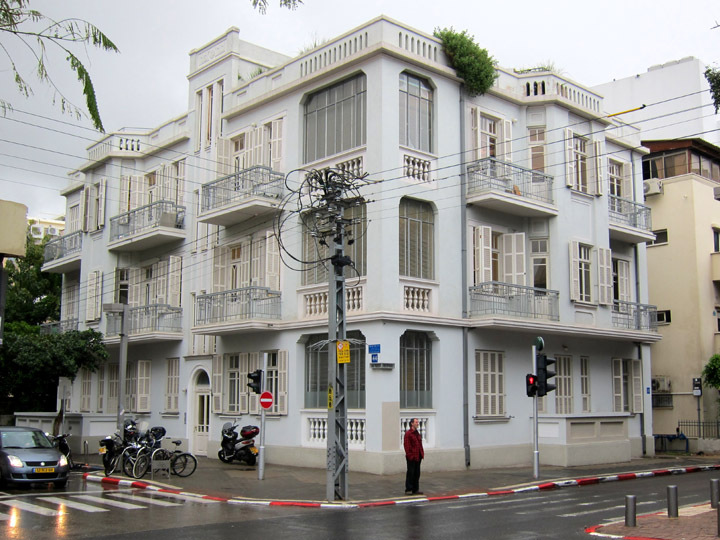 If you’d like to explore the original Bauhaus buildings, make sure to visit Rothschild Boulevard, Shenkin, Dizengoff, Bialik, Mazeh, Kalisher and Yehuda Halevi Streets. These have the bulk of the massive, ornate, and really unique buildings. But if you want to soak in the atmosphere of the White City, then I definitely recommend walking without a set path in mind. This entire area of the city was born in an era of exuberant and creative modernism and is almost completely constructed in the Bauhaus style. While the polish is definitely gone from these aging structures, its fascinating to see the implementation of a radical new visual ascetic in the 1930’s that wasn’t embraced by the rest of the world for another 25 years. The consistency and extent of the artistic experiment makes it worth exploring. Amazing post and photos, Christina. 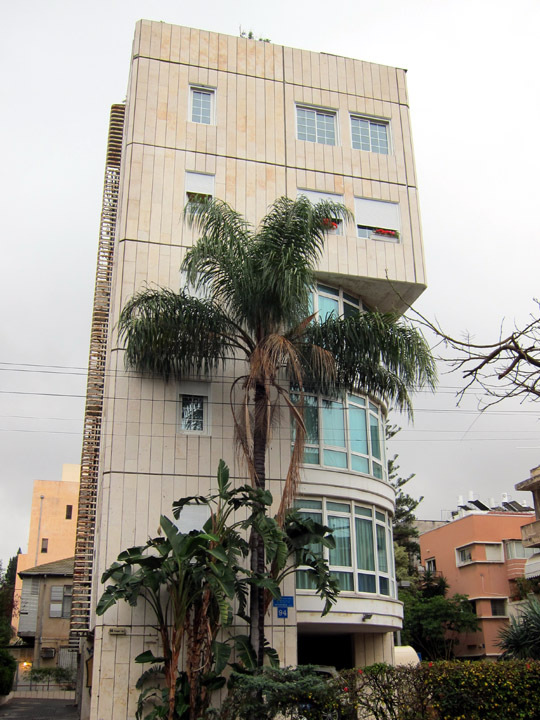 I had no idea there was such a motherlode of Bauhaus in Tel Aviv! 4000 buildings–WOW. Had no idea about this, for some reason I always thought that the whole modern Tel Aviv was built much later, in the 70s maybe. Interesting, very insightful and as you say it, it must have been quite an architectural revolution in the 30s, almost futuristic with those days’ standards. I’m glad you liked the post! Tel Aviv definitely continued to grow through the second half of the 20th century but definitely the core of the city dates to the 1930’s. Futuristic is a great term; that’s definitely how I imagine the artistic spirit at that time.